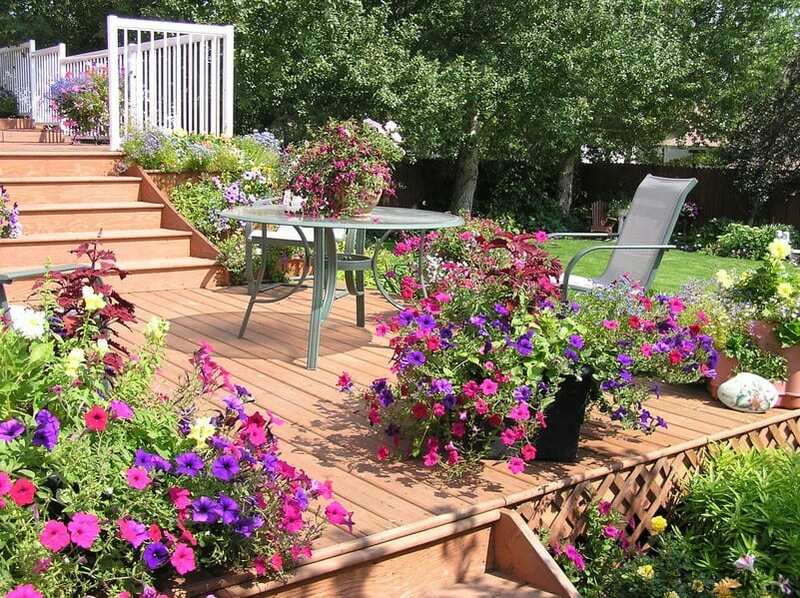 One of the most popular of home improvement projects is adding a deck to your home. While this adds a lot of value to the home, it also becomes the center for outdoor activity which can be fun. You need to ensure that design of an outdoor patio deck suits your taste and enough importance must also be given to the design so that it blends in with the existing home design . So it makes it very necessary that the deck has to be properly planned. There are certain things that need to be considered while you go about building a wooden deck. The design of the home must be taken into consideration when you choose the style of your deck, a fact acknowledged by experts. So make it a point to note the materials, colors, details and basic shapes that have gone into your home. If the home has a particular style this requires to be given a lot of importance. So once you decide on the specific style for your deck you will be giving the new space your own personal touch. A patio deck is best if attached to the house and near to the areas of the home that are always being used. A deck can be used for a number of activities and you need to decide what you are looking to use it for. Some people may require it just for reading an interesting book in a hot tub, while others may prefer to use it as a place to set up a barbecue or outdoor gas grill and still others may find it most useful for entertaining friends and family at parties. Persons who prefer to do the deck building themselves may sometimes build one too large, and it therefore becomes necessary to plan the deck properly so that it is of the right size, style and shape. Once you are clear as to what you are going to use the deck for, this itself will give you an indication of the space that you require. There are two types of wood that are mainly used for deck construction. You can use redwood that ranges from light to dark red in color and this is also a straight grain wood. This makes the finishing of the wood fairly simple. If you are looking for wood that is resistant to rot, insects and decay then you must consider heartwood redwood. This wood can cost more than pressure treated wood, four times as much, but it does have advantages. A compromise is possible if you use the redwood in sections that are visible while you use pressure treated lumber for the other parts of the deck structure. If you are looking for wood that is lighter in color you can use Western red cedar that has almost similar properties. There are other exotic woods that do not require much maintenance and are therefore good alternatives. You can look at Philippine mahogany, Brazilian cherry, teak, Brazilian walnut, ironwood or Paul Lope. These woods are all dense and have a lot of natural oil that allows them to resist, fire, insects, fungal growth and decay. Your local municipality permission is a must for building an outdoor patio deck and it is necessary to obtain the right building permit. These permits are required because most decks do need a foundation and footings. The plans of the deck and its adherence to building codes are what will be reviewed by the municipal authorities. The way the deck is being built is also subject to codes and this can influence the deck design and their approval.